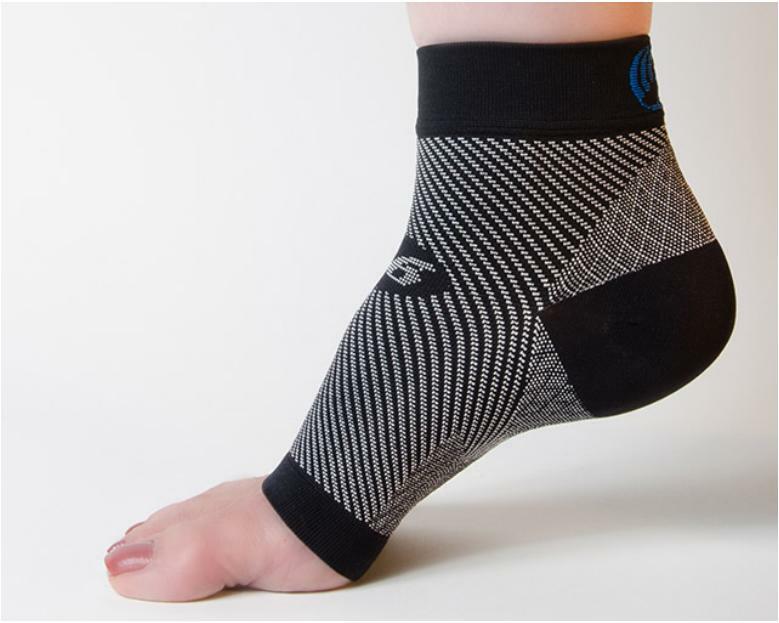 What makes this plantar fasciitis aid so effective is its ability to provide specific attention to different segments of the troubled area. After all, your foot is made up of more than 26 bones that each have separate needs, so a one-size-fits-all solution does not suffice. 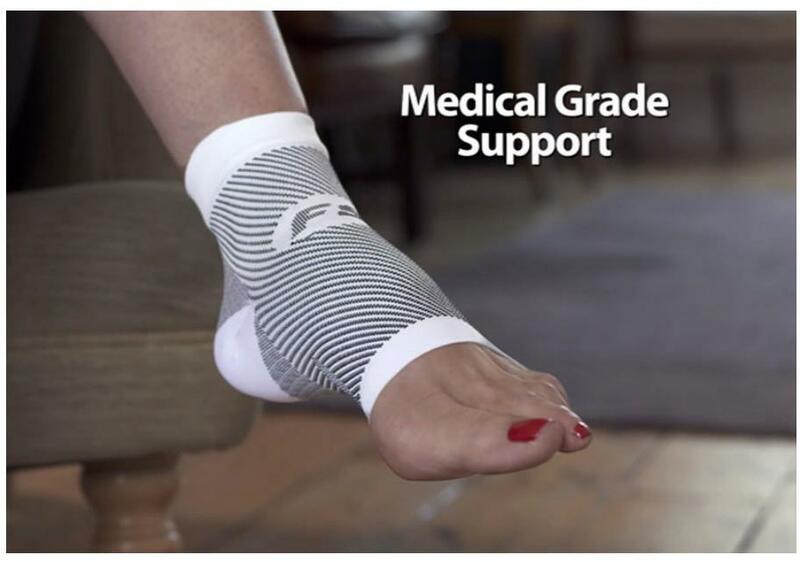 This supportive sock is meticulously constructed to provide the zones of your foot with targeted assistance for all-around pain relief. 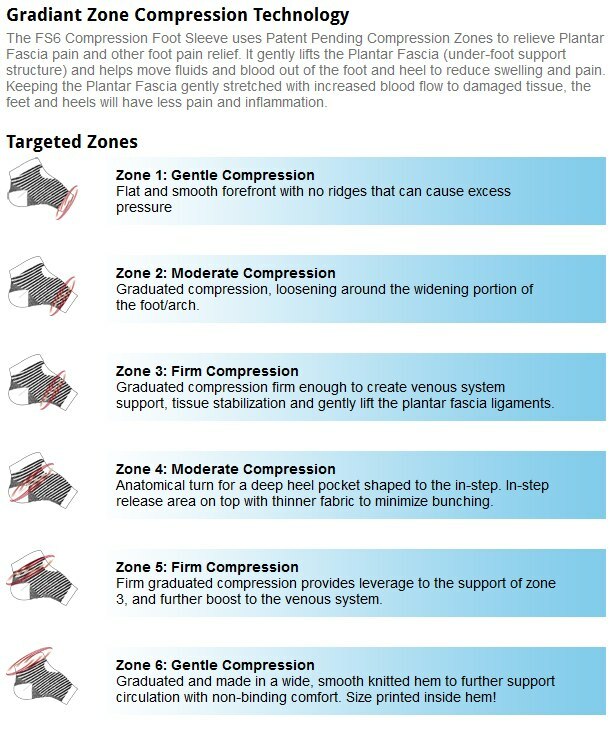 For example, "Zone 1" (the lower-middle of your foot) requires much less pressure than "Zone 5" (the upper part of your foot), which benefits from firm compression to augment support and circulation for your lower extremities. Can be comfortably utilized during both physical activity and sleep. 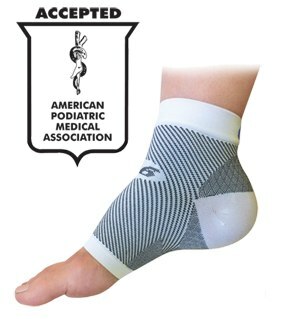 Graduated zone compression technology strategically minimizes swelling and inflammation. 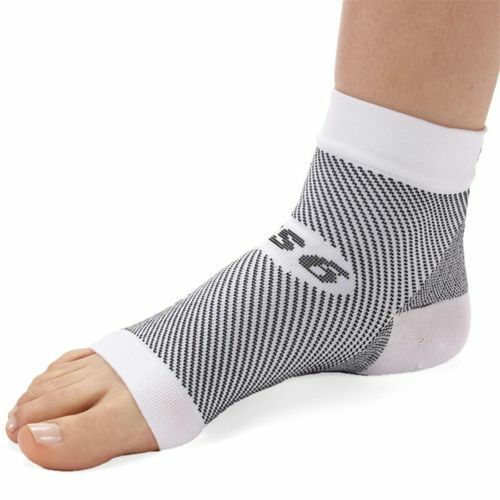 Reduces heel and arch pain, especially upon first awaking. Improves blood flow to foot. Available in white or black and S,M,L and XL - see sizing chart below. View all ING Source items. 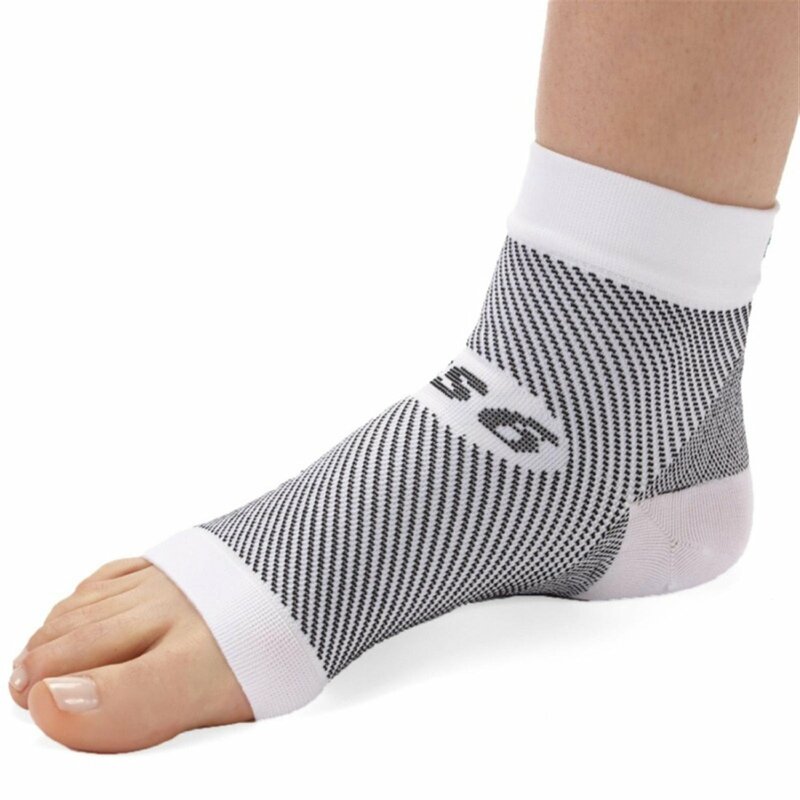 I have Plantar Fasciitis in both feet, and wearing a sock on one foot at night is much more comfortable than wearing night splints on both feet. 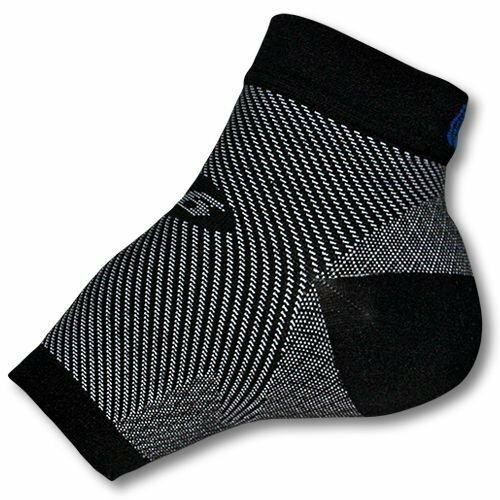 Great product and a super store I have been buying sleeves like this for too long as I regularly overdo walking, jogging on nearby beach and my feet take a beating. These have been the best brand I have found. I must add, this "store" has been the most amazing place I have bought from, their service has been SUPER! 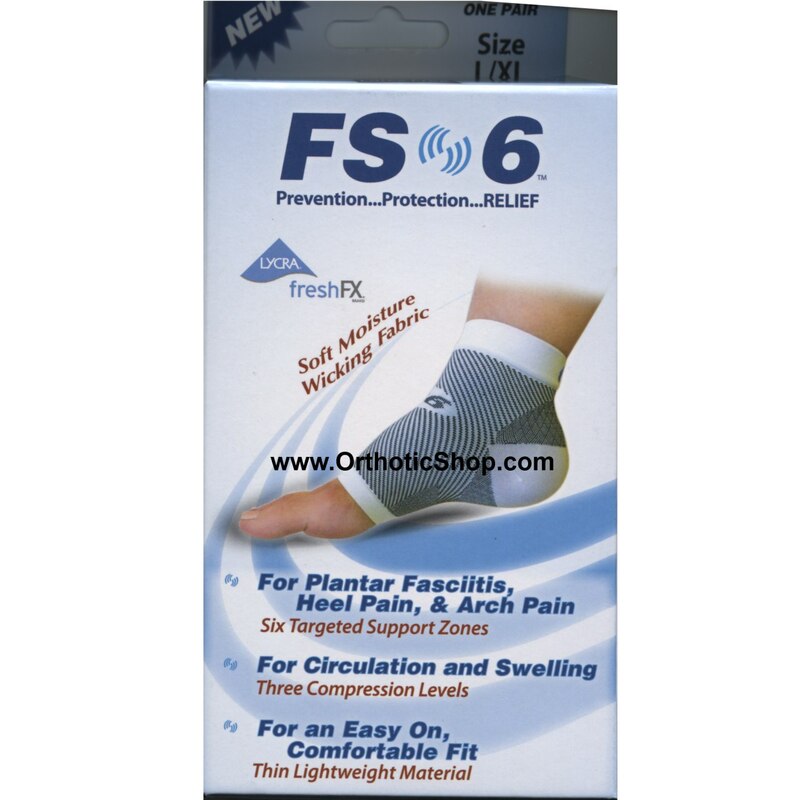 Good product I have Plantar Fasciitis and they seem to give me extra support in the arch area. 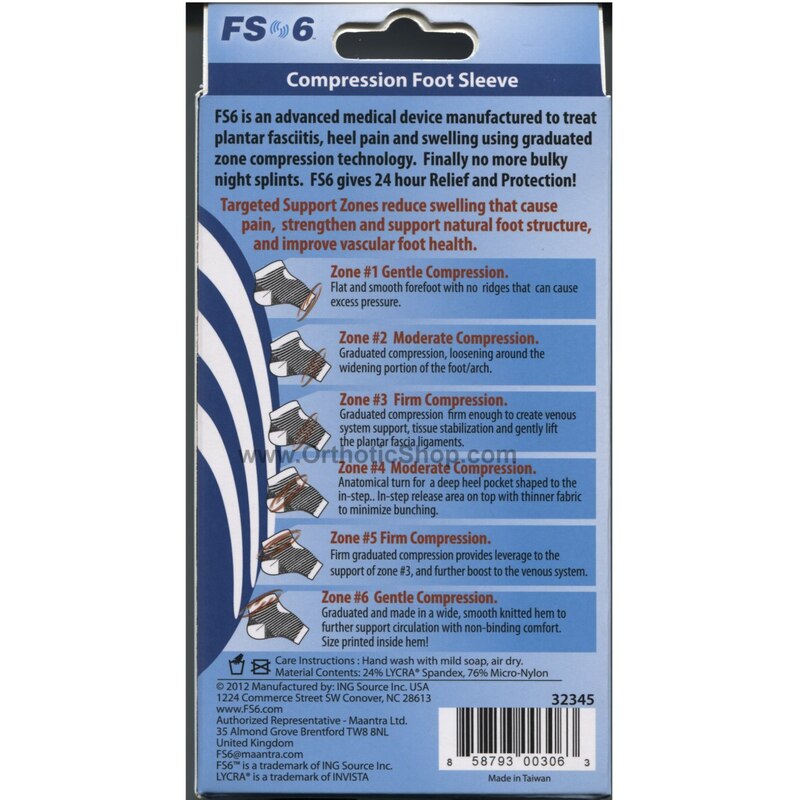 Foot Compression Sleeve for Plantar Fasciitis- Pair INVESTin these COMPRESSIONSocksWell worth yourmoney !! Received order fast. Great support but not to tight. Will be ordering again.